Workers began protest actions on 18 March in response to Nestlé’s unfair settlement offer. The federation of trade unions in the food industry, FSIA, has rejected the offer, accusing the company of treating the workers unfairly in comparison with settlements offered to workers affected by factory closures in other European countries. The company has refused to meet the demands of the trade union for compensation based on 50 months’ salaries, irrespective of the length of service, the pattern in other European countries. The company’s offer of a maximum of 13 months for workers in Timisoara with 20 years or more in service is an insult. 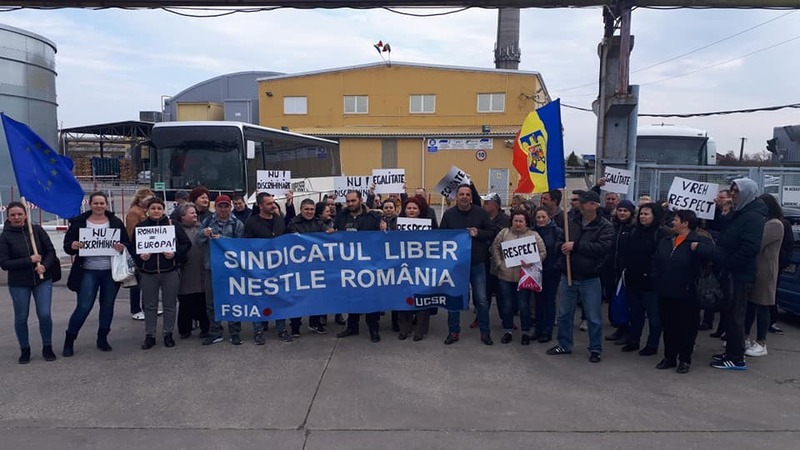 As a result of Nestlé’s defiant attitude the trade union has started regular protests in front of the factory.